One of Toronto's most famous retail landmarks is closing its doors for good at the end of this year. The corner of Bathurst and Bloor will lose Honest Ed's blazing marquee and bright red, yellow and blue hand-painted signs as a massive new rental development gets ready to move in. 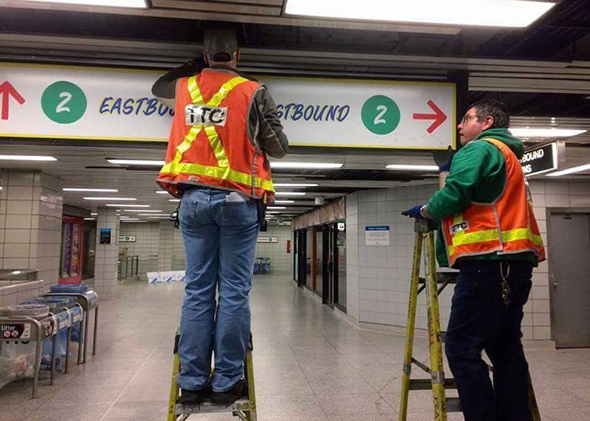 To honour Honest Ed's the TTC has installed a temporary art installation at Bathurst Station featuring art work and signage inspired by the much-maligned, yet still beloved local store. The installation looks like it'll stay up until the end of this year, but according to Brad Ross, there's a permanent one in the works too. Many of the works pay homage to long-serving Honest Ed's sign painters Wayne Reuben and Doug Kerr, who are responsible for the now-iconic lettering. It's a fitting tribute for a method of advertising that's nearly expired but still has considerable charm. Mayor John Tory along with TTC Chair Josh Colle and David Mirvish will officially unveil the installation a little bit later this morning. And you can see it yourself if you take a trip to Bathurst Station. 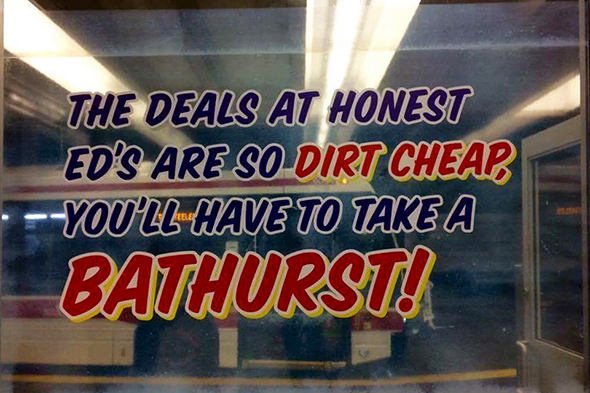 Or, grab your own piece of Honest Ed's history and buy yourself a hand-lettered sign. 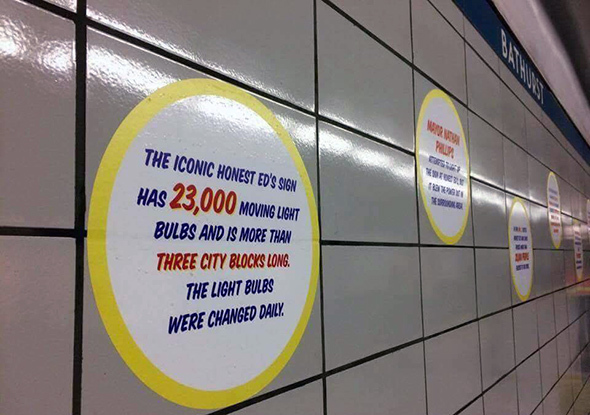 What do you think of this Honest Ed's tribute? Let us know in the comments.